2018 Hands Across The Sea Sweepstakes - Enter Now! By putting brand new, amazing, life-changing books into the hands of Caribbean children and creating/rejuvenating lending libraries at their schools, Hands Across the Sea is helping to raise the literacy levels—and the hopes for a better life—of underprivileged children on the islands of Antigua, Dominica, Grenada, St. Kitts and Nevis, St. Lucia, and St. Vincent and the Grenadines. Now in its eleventh year serving Caribbean children, Hands Across the Sea employs a network of retired educators, called Hands Literacy Links, to mentor and coach school staff to bolster the sustainability of lending libraries at 400 primary schools (Grades K-6) and high schools across the region. Hands literacy support includes the Hands Student Librarian Program, the Hands Remedial Reading Toolkit (reading rescue for struggling high school students), and support materials such as the Teachers Resource Guide to the Library (Grades K-3), the Hands Library Manual, and the Hands Student Librarian Handbook. When you donate to the ASA/Hands Across the Sea Caribbean Getaway Sweepstakes, you are entered to win a one-week, four-person bareboat charter in St. Vincent and the Grenadines and the Tobago Cays courtesy of ASA Affiliate Horizon Yacht Charters. 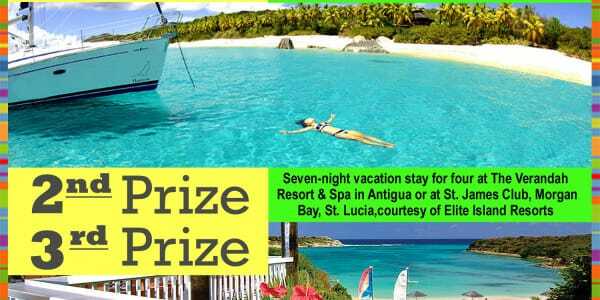 Or you could win a luxurious seven-night stay for four (two rooms) at The Verandah Resort & Spa in Antigua or at the St. James’s Club, Morgan Bay, St. Lucia, courtesy of Elite Island Resorts. Thank you for supporting literacy for Caribbean children. Like you, we believe that every child should grow up reading! Entries close at 11:59pm on Friday, October 12th, 2018. Enter without making a donation. See all the terms & conditions. 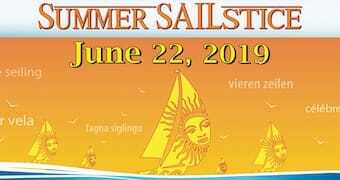 ASA is partnering with Horizon Yacht Charters and Elite Island Resorts to support the mission of Hands Across the Sea, a non-profit organization dedicated to raising child literacy levels in the Eastern Caribbean. When you donate to Hands Across the Sea through this page you’ll be automatically entered in our sweepstakes, and you’ll be helping Hands provide much-needed books and literacy resources to children from pre-school to high school in the Eastern Caribbean. Play the one-minute video above to see how your donation to Hands Across the Sea helps Caribbean kids! Horizon Yacht Charters delivers immaculate yachts and first-class service, yet still offers great value for money. With three stunning Caribbean charter destinations to choose from, Horizon offers the very best sailing vacation each region has to offer: monohull or multihull, bareboat or crewed. Horizon can assist you with flight information, hotel accommodation, yacht provisioning, watersport rentals, and other services. Horizon can also help you fulfill any other requests during your Caribbean sailing vacation, including ASA-certified sailing instruction, learning to dive, going parasailing, or getting married on a deserted beach! Horizon wants you to have the sailing vacation of a lifetime, and their many years of experience in the hospitality and marine industries means meticulous attention to detail and a superior level of personalized customer service. MANGO TREE – A half-dozen high interest/low reading level books — from Captain Underpants to Junie B. Jones — that stoke the imaginations of reluctant readers. RAINFOREST – Selection of 12 gotta-read titles such as Great Graphix or Thrillers & Chillers for primary school students from grades 4 to 6. CORAL REEF – Selection of 50 pleasure-reading books — from Goosebumps to Diary of a Wimpy Kid to Dr. Seuss to Curious George to Hunger Games— for a selected grade level. STEEL PAN BAND – Selection of 35 great children’s titles from well-regarded Caribbean niche publishers — when Caribbean kids can “see themselves” in books, it helps them get hooked on reading. CARNIVAL QUEEN – Eighty-five hardcover non-fiction books for a primary or secondary school — informational books that help children learn to read, and then read to learn. CALYPSO KING – Selection of 250 durable hardcover non-fiction books for a primary school or secondary school. These books are packed with information that educates, informs, & opens the door to a wider world. TRADE WINDS – Refurbish the existing library of a primary school or secondary school, from new paint to shelves and floor tiles to 400 great new books, and help turn it into a vibrant borrowing library that serves students, teachers, and the local community. CARIBBEAN SEA Fund our area of greatest need. Let Hands direct your gift to selected schools, libraries, reading programs, and youth centers that are ready for development — and waiting to engage children who are eager to read and learn.